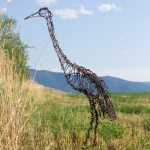 I had a custom request for a life-size Sandhill Crane. 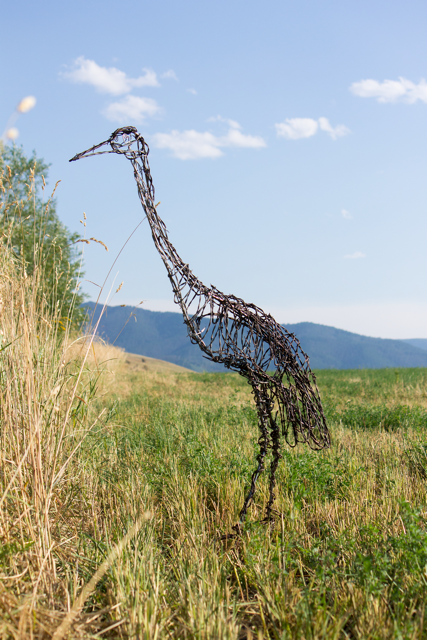 This sculpture is right at 4′ 2″ high- the top height for a Sandhill Crane. The look and feel of the Crane really worked with the wire. I’ll be making more of these for sure! SLAM Bozeman 2013 is here!